One of our most memorable food experiences in Florence was eating at Fabio Picchi’s Ristorante Cibreo (you can see more from when we visited here). When we learned that Picchi had written several Italian cookbooks, we jumped at the chance to make more of his delicious Tuscan dishes at home. 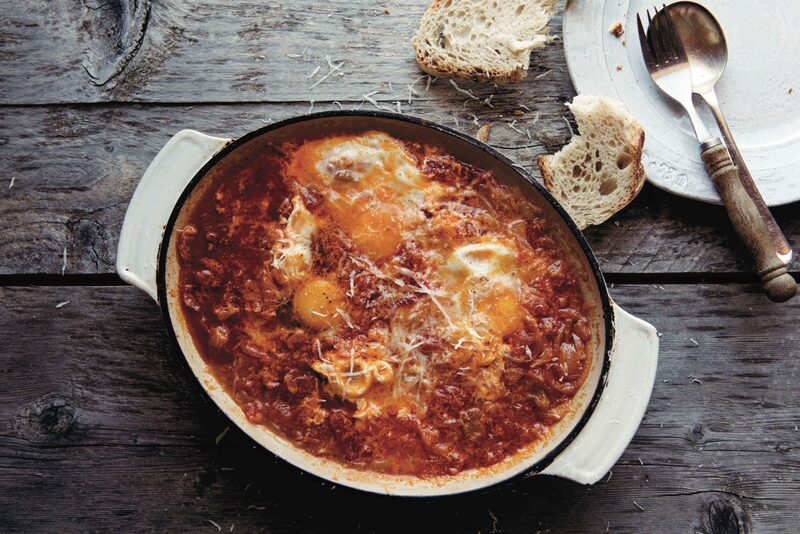 On rainy or chilly days we crave hearty dishes that remind us of our rainy week in Florence. We are in love with these heirloom marcella beans, and this was the perfect opportunity to use them. 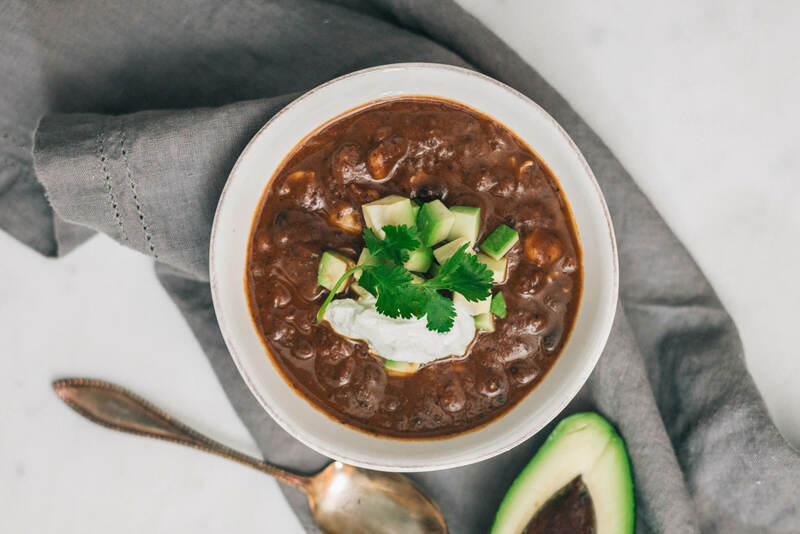 This soup is even better the next day, so make sure to save some leftovers for lunch the next day. If you’re looking for other hearty Italian soups, try yellow pepper soup or ribolitta. Cook beans according to these directions. When the beans are almost finished cooking, in a skillet, add sausage and cook over medium heat. Use a spatula to crumble and brown the sausage. After the sausage is crumbled, add the kale and cook until wilted. Add the tomatoes to the sausage and kale mixture, then salt to taste. Keep warm until ready to serve. To serve, layer beans, bread, and sausage and kale mixture in a bowl. Top with bean broth, olive oil, and salt and pepper to finish. I’m so excited to try this recipe! 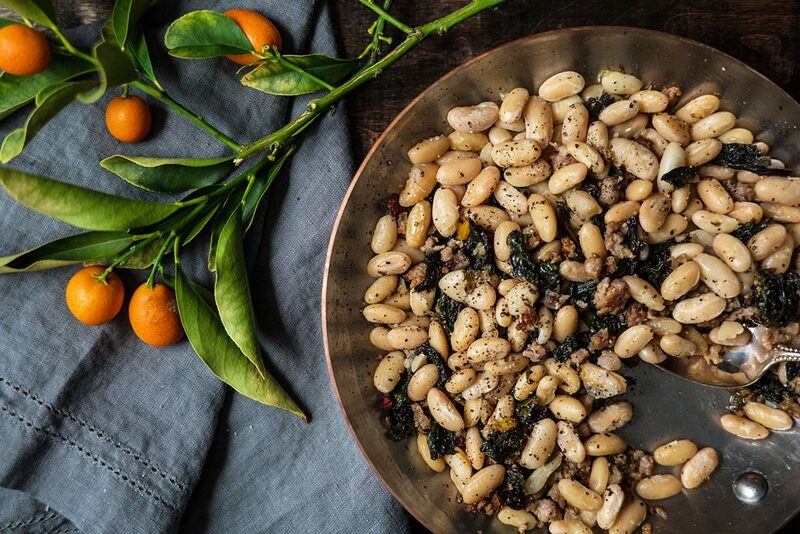 White beans and kale are one of my favorite combos, and this looks absolutely delicious.